Rare cancers make up as many as one fifth of all new cancer cases. Amongst them, pediatric cancers and rare hematologic neoplasms are often covered by dedicated educational events, while rare adult solid cancers are hardly grouped together and approached as a collective group of neoplasms. Indeed, they account for as many as 15% of all new cancer cases, thus being the main group within rare cancers. This Course is aimed at dealing with them on an annual basis, to provide the community of clinical oncologists specialising in these tumors with a regular update of recent advances in this specific area. The ultimate goal is to strengthen the educational coverage of a group of cancers which may be neglected in spite of their collective incidence. Any educational effort in the rare cancer area makes little sense if disconnected from a networking environment. 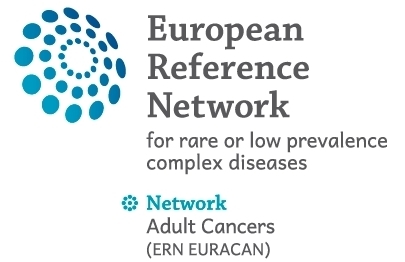 This year we are amid the process of creation of the new European Reference Networks (ERN) on rare diseases, including rare adult solid cancers, with the ERN named EURACAN. Many speakers and moderators will thus come from EURACAN and definitely will be happy to meet Oncologists working within it or in collaboration with it. From the educational point of view, one cannot expect that even experienced clinical oncologists are knowledgeable about all these tumours. For this reason, the European Faculty of this Course is asked to focus on most recent advances always trying to put them into the context of state-of-the-art treatment of these tumors, with a special view to ESMO Clinical Practice Guidelines. A Pilot Training Course for Rare Cancer Patient Advocates will run in parallel. The event has been accredited by the European Accreditation Council for Continuing Medical Education (EACCME) to provide the following CME activity for medical specialists. The EACCME is an institution of the European Union of Medical Specialists (UEMS). The evaluation of the event has been performed by the Accreditation Council of Oncology in Europe (ACOE) that acknowledged the quality of the scientific programme and its educational value. The event is designated for a maximum of 14 European CME credits (ECMEC). Through an agreement between UEMS and the American Medical Association, physicians may convert EACCME credits to an equivalent number of AMA PRA Category 1 Credits™. Furthermore, the event has been designed for 12,5 Italian CME credits. The badge is the only official evidence of registration and should be worn at all times during the event. The organisers bear no responsibility for untoward events in relation to the participation in the Course. Participants are advised to take out their own personal and travel insurance. Travel grants were made available on a competitive basis thanks to the support of Rare Cancers Europe. Priority was given to younger candidates and low/middle income Countries. The applicationd deadline has passed (1 October 2017). All applicants will be contacted by 15th October. Unselected applicants will still be able to register with the early rate fee (deadline: 31st October). ESO wishes to express its gratitude to Fondazione Cariplo - Iniziative Patrimoniali S.p.A. for their support in hosting the course in its premises. and to Bristol-Myers Squibb, Lilly Oncology, Merck and PharmaMar for their unrestricted educational grants. From the 2nd to 4th of December 2017, RCE organised a specific training course for rare cancers patient advocates. The event brought together patient advocates from across Europe, including Turkey and Russia, who could exchange views and ideas with clinicians and researchers, who were attending the ESO-ESMO-RCE Clinical Update on Rare Cancers event in the same building and to learn about crucial points of rare cancers advocacy.